Scroll down to find out all about us! Are you ready to buy a custom cart today? We have a selection of carts in-stock right now. See custom in-stock carts now! Sure we sell golf carts, but that's not what makes us special. 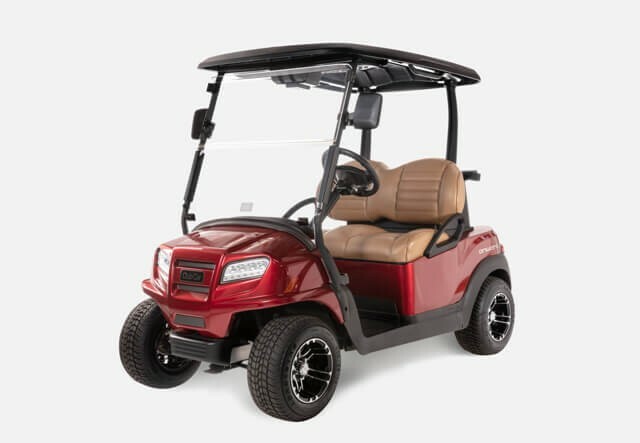 Our quality workmanship, friendly staff, and attention to detail are the things that make a Gulf Coast Golf Cart the best around! 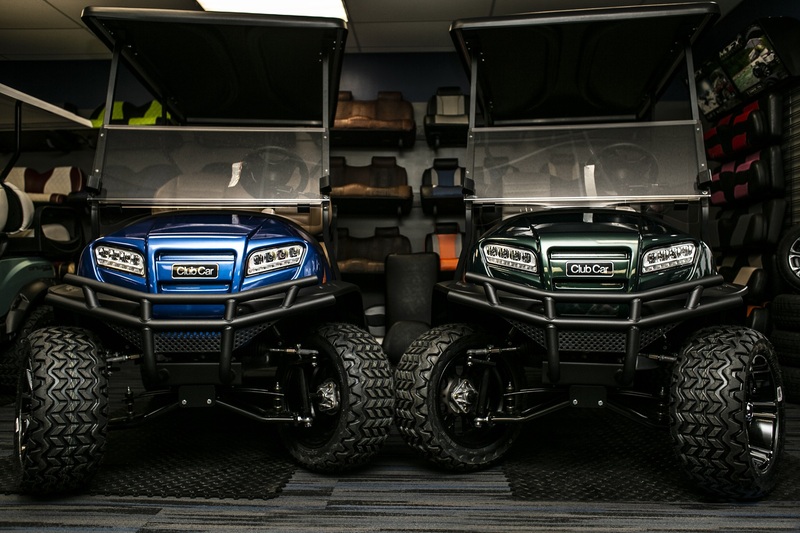 We pride ourselves on having golf cart options available for every customer including pre-owned carts, custom carts, and parts and specialty services! We always have a rolling inventory of in-stock carts available for take-home same day. Or if there's something different you have in mind, we'll work with you to make your own unique mark on a cart, ensuring you have a one-of-a-kind cart that doesn't blend into the crowd. Concerned about being able to afford a unique cart? We have financing ready for you; there's no need to put off your cart any longer! 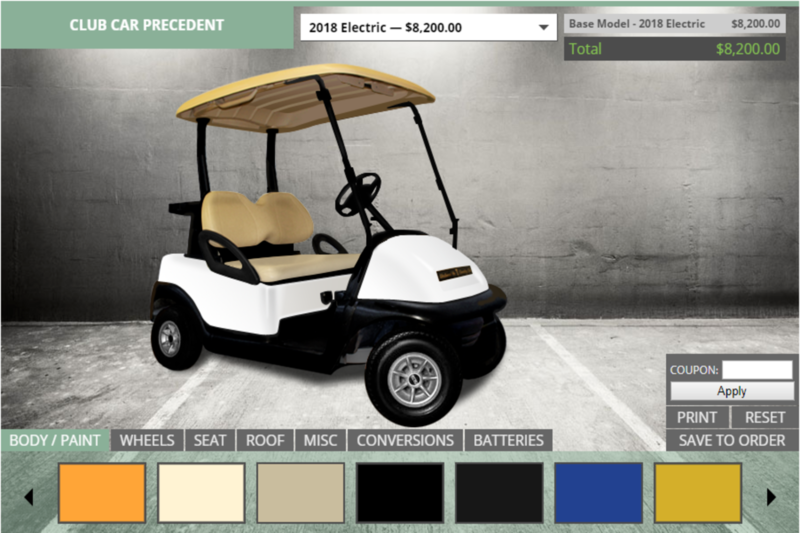 Create your very own custom cart with our interactive cart builder. Click here to find the right builder. 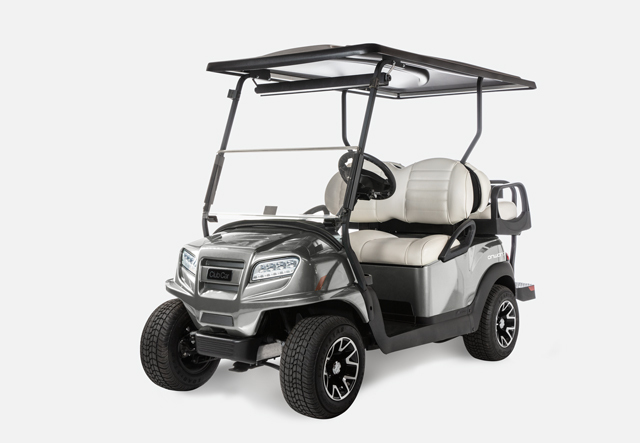 If you're ready to take home a golf cart today, check out our in-stock inventory. Need a new part for your current cart or want to add some accessories? We've got a variety of services to meet your needs! Click here. Don't let the fear of affordability keep you from owning the cart you want. We have fantastic financing options available; let us help you out! 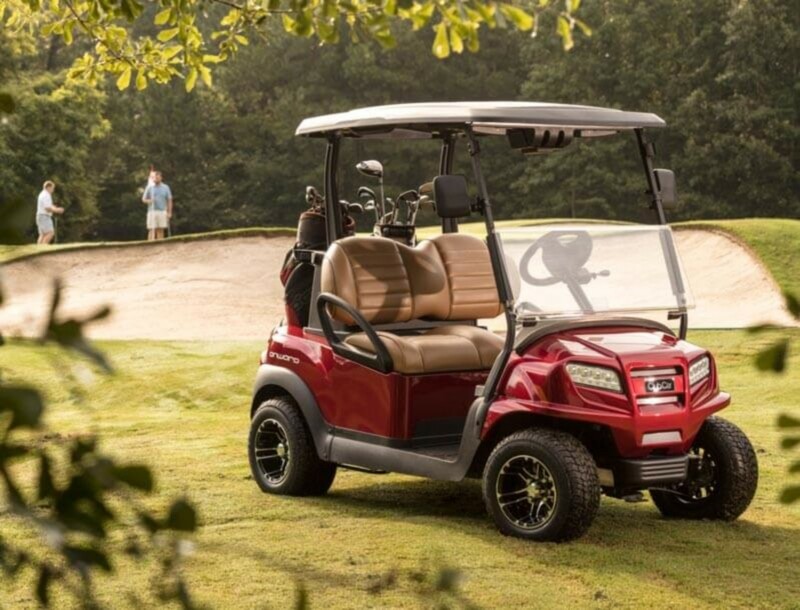 Club Car's latest model, the Onward, provides not only the reliability and durability you can expect from Club Car, but the new body style puts a little bit of modern and classy to a traditional look. This is one of the best carts we have to offer, and it comes in a wide variety of styles. If you're looking for a fantastic new cart, you can't go wrong with an Onward. Onward® is the only personal transportation vehicle with extensive integrated custom options. Elevate style and comfort, whether you're on or off the course. Available in gas or electric. Carries your family to school, the pool, and all the fun in between. The Onward® encourages families and friends to come together and enjoy the outdoors. It's comfortable and practical, yet fun and stylish – all at once. Your custom cart can help improve your daily activities. Do you have hunting property? Large pastures? No problem! Let us lift your cart and get some knobbier tires on it. If you have a specific need, we can help you create the perfectly customized golf cart for that situation. Are you looking for a people hauler? We have limousine carts that can hold up to 6 people. Do you need a safe and reliable cart for your kids to hone their driving skills while having fun? We have just the cart to fit their personality. Driving should always be a fun experience. We can make the custom golf cart your family or friends need to have a great time. Check out a list of the services we offer. We believe in quality. That is why we are a Club Car dealer. Club Car has been creating quality carts for over 50 years. That experience goes into each and every cart they produce. A Club Car is a great base Golf Cart for any custom golf cart project. Customize your cart with our online cart designer. Choose the style, striping, colors and more with our easy to use online tool then give us a call for a quote! 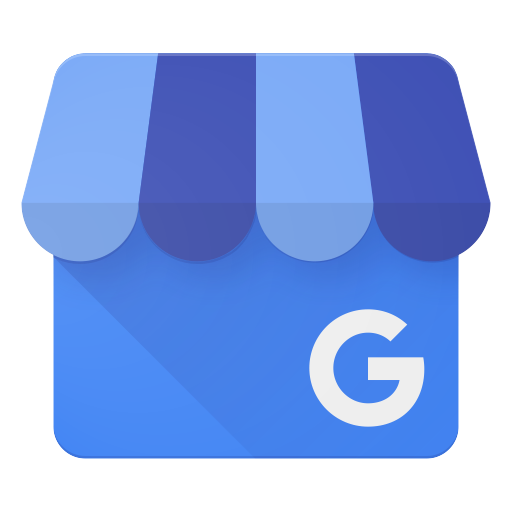 Bring in an invoice or an advertised price for a competitor's golf cart, and we will do better than match their price - we will beat their price. Our customers always come first. And with our huge range of financing options, we will get you in the perfect cart at the perfect price. No one beats our prices! View our line-up of Custom and Local Golf Carts. 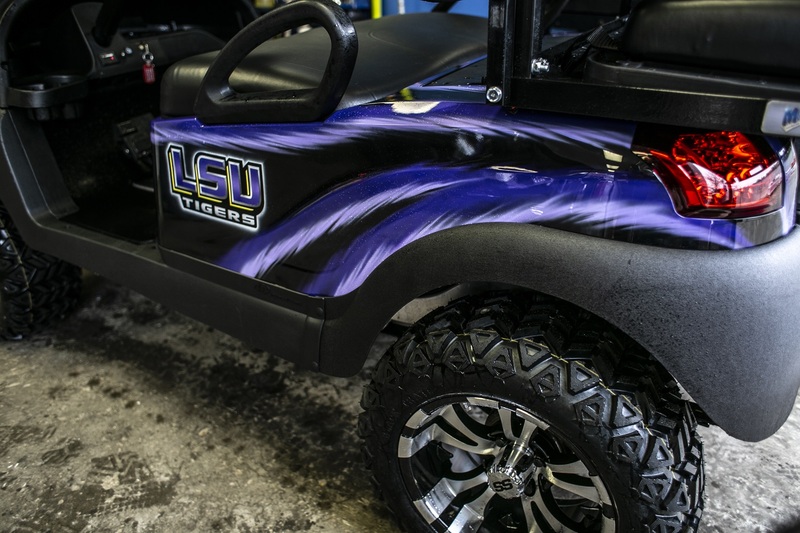 Make your favorite team proud by sporting around in your custom golf cart with your teams logo and colors. We have golf carts in stock now, including custom carts! Ready to buy an in-stock golf cart today? We have a number of carts in stock, ready for you, and priced very affordably! Our inventory moves quickly though, so if you see a cart that you like we recommend that you act as fast as possible. These golf carts are priced to sell and will be gone soon. Already own a cart? We have the parts for you! We're excited to announce the latest service available from Gulf Coast Golf Carts: www.a2zgolfsupplies.com. A2Z Gulf Cart Supplies in an online store where you can purchase products directly from our website and have them shipped to your door. 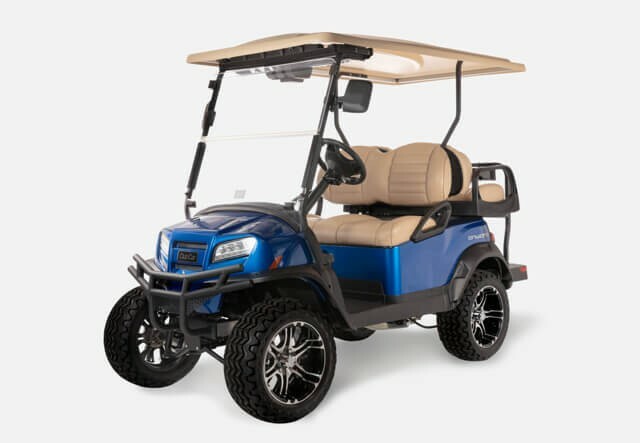 This addition to the GCGC's family provides us with a great opportunity to continue our service relationship with you even after you've purchased your golf cart. As we strive to be a full-service company, we're always adding new products. However, if you don't see something you're looking for, let us know and we'll do what we can to get it for you! "These guys are top notch. They built exactly what I wanted and for a great price. Their customer service is great. If you’re looking for a golf cart, this is def the place to go." "I purchased a custom Southern Miss golf cart and have been extremely pleased with the entire process. I don't live near by, so we communicated over email, text messages, and phone calls concerning design. The staff kept me informed throughout the process, and the finished product was perfect. 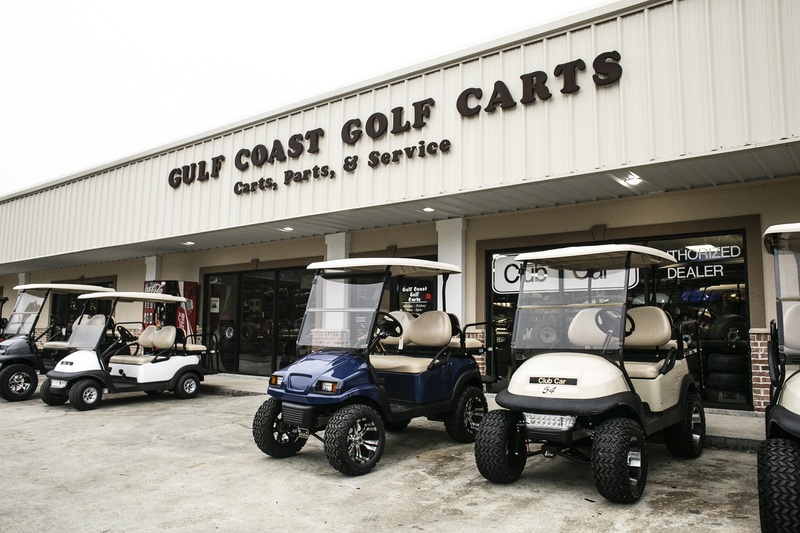 I highly recommend Gulf Coast Golf Cars." "Awesome People,Business,Staff & Products. If they don't have the cart you like in stock, they're always excited to make it a priority to build whatever you design. Thank You David & Staff"
"We had been in the market for sometime when a friend suggested Gulf Coast Golf Carts. From putting together an awesome, classy cart with tons of bells and whistles to fixing a minor issue, this company has been great!! Highly recommended!!!! We LOVE this cart!!"